NYFW had two stand out shows for me. The first one, Theyskens Theory, in the category of most realistically inspiring. Don't get me wrong, I'm just as susceptible to the obsessive tailspins that shows induce when crazy runway pieces come out. The IT fill in the blank next must have item (see next post). But I also love when shows inspire me to wear things differently and try new silhouettes, not just individual pieces. 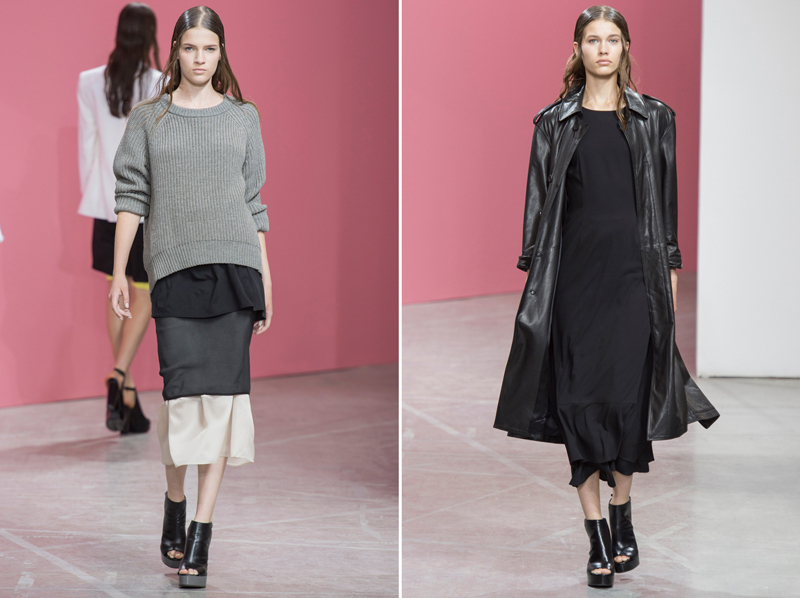 So the moment the Theyskens Theory looks escalated to four layers (see top left photo), I was sold. Definitely a look I'll be emulating (once I accumulate enough silky slips). I wouldn't mind that long leather jacket though. I'm your huckleberry. Indeed, great job of layering! 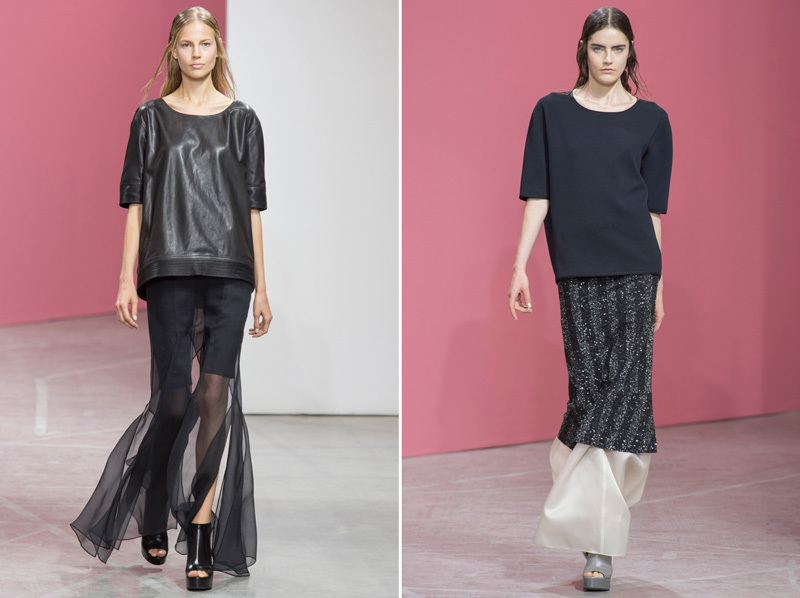 I haven't been able to "get" into Theyskens Theory since the debut collection. It's not bad or anything, just not my style I guess. definitely very wearable! the grey sweater is so perfect. almost wish it was still cold here so i can attempt to emulate. exquisite... this collection is flawless! I agree that this show was very inspiring and will allow people to play with their own wardrobes in new ways. The layering is on point. Very inspiring. Without a doubt, it is inspiring considering how hard it is to really pull off these looks without looking borderline crazy and messy. they definitely stepped up the layering game with that 4 piece! What a great collection. I especially love the fourth look! You're favorite looks just happened to be my favorite looks! take a look!